Have you heard the term “Squeeze Page” used in the context of web site marketing before? It’s geek speak for what is more commonly referred to as a landing page. A landing page is any single page that someone arrives at from a link dedicated to that particular page. They are established for a particular marketing purpose where a call to action is created just for that content and used primarily for the purpose of capturing and converting qualified leads. When discussing the topic with My friend Mike Mueller of AreWeConnected.com, a real estate Wordpress expert he pointed out that: "a squeeze page removes all distractions (menu bar, header, footer, sidebar) and leaves the viewer with one of two options: close the browser or take the CTA. Hence the term "Squeeze Page". Mike encourages and trains his clients on the use squeeze pages as part of their strategy. Buyers and sellers engage the services of real estate professionals for more than just negotiation and understanding of market conditions. They rely on your insight to help them determine if their new house is actually going to be the home they want as the central location of their family’s lives. A landing page can be more like a canvas that conveys the experience of living in an area. LIVE Data IDX allows you to add every active listing in that area with a saved search. Include “on page” content about the area with unique descriptions of the points of interest in the area. Worship, education, recreation and more. Don’t just link out to other sites. Write about them from your unique perspective and knowledge. It’s content that your competition can’t replicate and sets you apart! Unique URL’s (web addresses) cost very little and can improve organic search results. Rather than redirect the URL to the page, follow your web site registrar’s instructions for having your new URL resolve directly to your landing page. Redirects can cause problems behind corporate firewalls and more. Learn much more by viewing pre-recorded webinars and success articles for more information on Hyperlocal LIVE Data IDX marketing. Another great way to utilize lifestyle content marketing is to create landing pages built around specific niches. Build one for each golf course in your area. Ranch property, horse properties, you name it. Creating a landing page with the LIVE data listings wrapped around lifestyle descriptions and images specific to that niche will greatly improve your ability to be found in organic search engine activity. Including links to your landing pages in your e-mail signature allows you to provide prospects with targeted content. Make it specific, however. The magic of a landing page is that it delivers on the promise that your Call To Action creates! Including links in your social media messaging is an effective way to drive traffic to your landing pages. Whenever the opportunity arises to refer to a specific landing page, be sure to include a hyperlink to your landing page. Google adwords, Twitter and Facebook are great places to purchase advertising with direct calls to action to your landing pages and can be tested with a small budget to get started. There are some important things to consider when it comes to making sure your landing pages are optimized to their best potential. Statistics show that initial impressions are made within 1/20th of second. Getting it right, right off the bat is critical. Your goal is to turn a site reader to a qualified prospect and making sure you have all the bases covered will improve your conversion rate. Landing pages are designed to appeal to a specific audience. Images, copy and your CTA’s should be designed to engage the prospect you’re targeting. Capturing leads that drop seamlessly into your Flexmls account via clearly defined portal invitations is a great conversion opportunity. 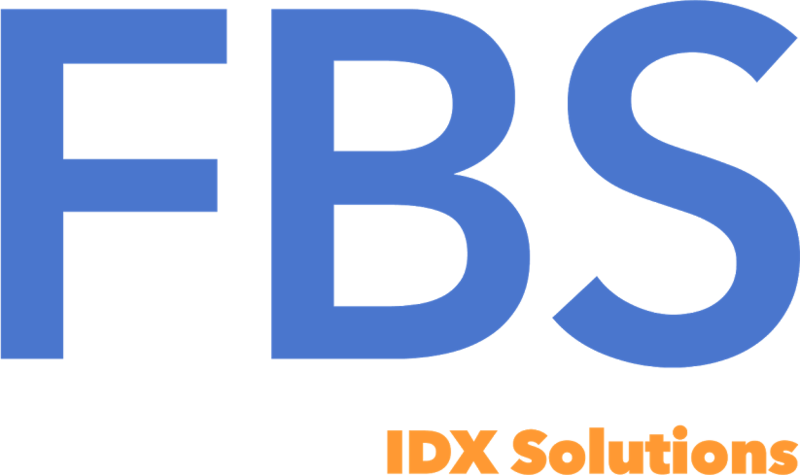 Letting your prospects know of the benefits of a portal registration can be done in a number of ways, including a handy widget in the FBS IDX Plugin. Your Mom loves you, however, if she’s buying or selling a home, she’s probably going to ask for your help no matter how awesome (or not) your landing page. Don’t design it for her, design it for your target prospects. How they perceive your page for that all important first impression can be established by taking the time make sure you have the key elements covered. What are those core elements? According to Unbounce and their “Anatomy of a Landing Page”, there are 5. Another thing that Mike Mueller brought up in our discussion was the importance of having the headline match what is clicked: "Too often I see agents sending people to their home page or a generic page that they hope works for all their ads. Each ad should speak to an individual about one thing. That might be a pain or a pleasure but it's ONE thing. That corresponding landing page better also speak to the ONE thing." Taking the time to understand things like the best practices of content marketing, research, the psychology of color and more are worth the time. Here are just a few places to get you started. Find out more about the keywords, phrases and more that people are using to find your landing pages. The AIDA Model (Attention, Interest, Desire, Action) – What is A/B Testing? Landing pages combined with LIVE Data IDX work. They provide you with a tremendous opportunity to create unique content that provides prospective buyers and sellers with exactly what they need to make informed decisions without having to wade through endless search options and information irrelevant to them, their goals or lifestyle needs. Taking the time to understand the best way to create them and tracking your progress will go a long way toward helping you achieve your goal of capturing leads. Want to know more about your options for including LIVE Data IDX in your own landing pages? Just use the handy form below to request a free and super quick demonstration from one of our IDX specialists.